My conversation with freelance hockey writer Dom Luszczyszyn, whose affiliations include the CBC, The Hockey News, Hockey Graphs, and The Nation Network. He is currently writing at The Athletic while offering the masses his daily fantasy hockey projections and is a highly respected analytics guru. 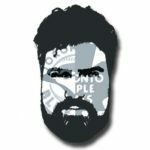 We discussed his thoughts on early NHL season predictions, the reality of Kyle Dubas and his efforts to sign all three of his budding young stars, the revolving door of coaching changes and GM justifications, his earliest experiences as a young journalist on the rise, and what inspired him to have a genuine passion for the game of hockey. Be sure to follow Dom (@domluszczyszyn) on social media and check out his worthwhile perspectives at The Athletic NHL.